Our experienced professionals have taken care of countless storm damage and emergency service jobs. The Las Vegas and Henderson area is very susceptible to high winds. Trees that haven’t been cared for well have a good chance of falling down. Our crews can handle any situation, including removing a tree that falls on your home. If you have trees that are decaying, dying, or already dead, it’s a good idea to have them removed immediately. Otherwise, when dangerously high winds come about, they’re likely to fall and cause even more damage. Then you have more hassles to contend with – calling the tree service, contacting the insurance company, and the additional property damage. Instead of dealing with all of that, why not just give Nevada Tree Service a call, pay a little now, and prevent yourself many more problems down the road? Need Tree Storm Damage & Emergency Services in Las Vegas? 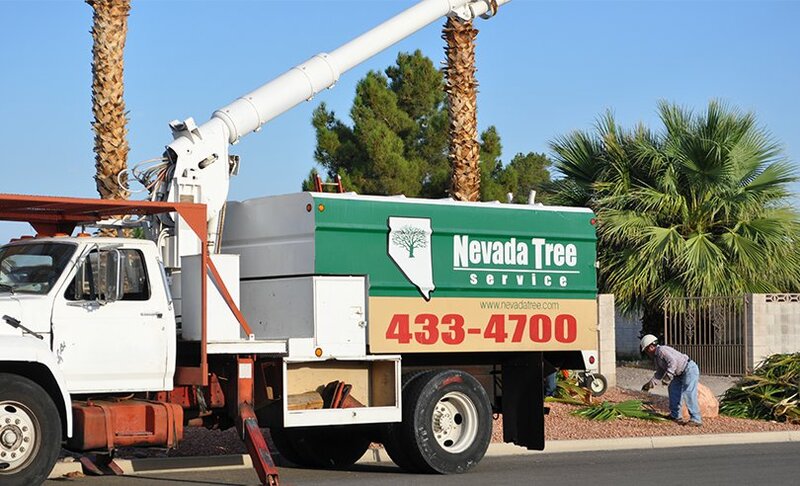 To find out more about our Tree Storm Damage & Emergency Services, contact Nevada Tree Service. Give us a call at 702) 433-4700 today!